The newfound tiny world is the most distant object ever found in our solar system. Farout orbits the sun at about 120 astronomical units (AU)—in other words, 120 times as far from the Sun as the Earth is. by comparison, Pluto is only about 30 to 50 AU, and the previous record holder, Eris, is about 96 AU. Farout was discovered by a trio of astronomers that specializes in hunting distant solar system objects. 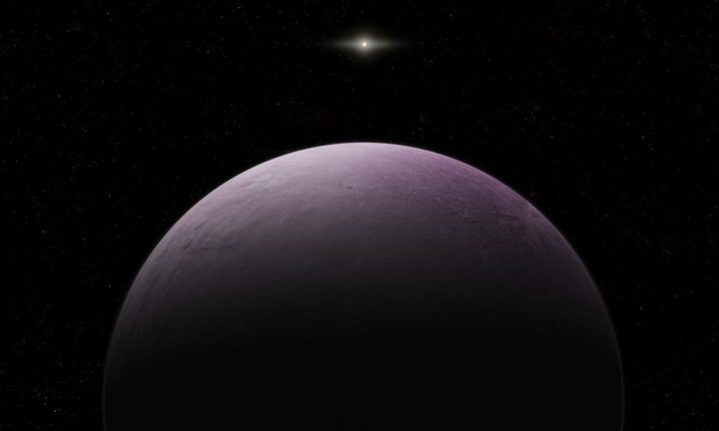 A few months ago, this same astronomy team spotted ‘The Goblin,’ another distant world that was given its spooky name due to its discovery around Halloween. That planet was much closer than Farout, though. That suspected Planet Nine was first proposed in 2016, and plenty of astronomers have spent the last few years hunting for it. But the solar system is a big place, and there are a lot of places for even a big planet to hide. But every distant world we discover helps us confirm a result or rule something out, and someday soon we’ll know whether or not Planet Nine is really lurking out there somewhere.